The purpose of this blog is to share my interest in bonsai pots and bonsai. 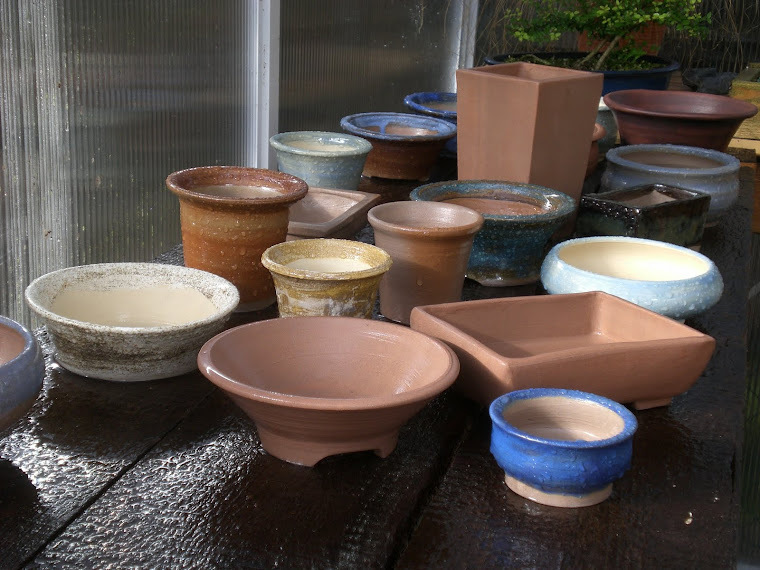 Over the past couple of years I've been learning about pottery, teaching myself to throw pots on a wheel, glazing, how to fire a kiln and how this all applies to bonsai pots. I haven't found a lot of sources that apply specifically to bonsai pots, but some good advice from experienced potters has been a great help. I'm going to be posting pictures of my pots over the next while as soon as I sort out the issues involved in making presentable photographs!